Does anyone have any of the family dolls? 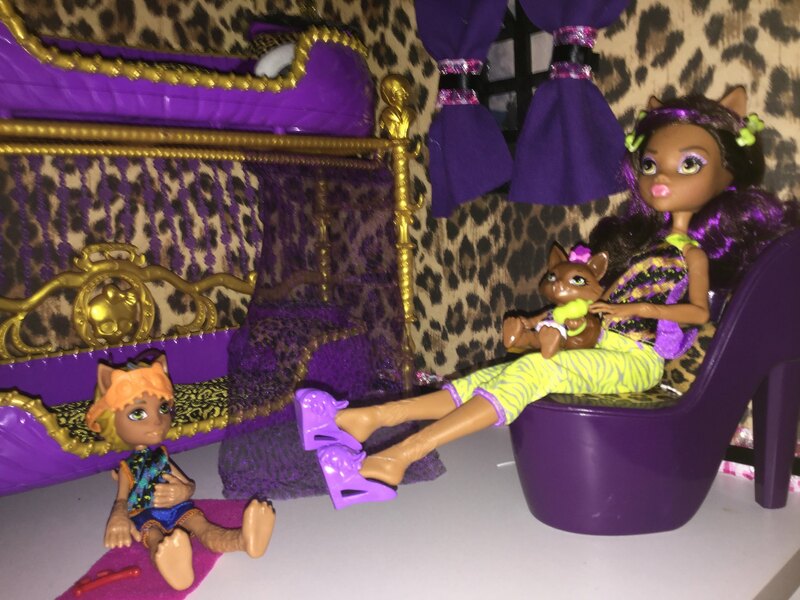 Does anyone have pics of the new family dolls? Especially the mummy baby with high chair and lagoona and Kellpie? Dog hairs are scent delivery mechanisms. Re: Does anyone have any of the family dolls? I got Fangelica and Pharrah recently, but haven't yet deboxed them as I've been busy. Hopefully this week. That mummy baby high chair is off the charts cute! I agree! I love blue and gold, so it's def. Something that I'd like to find. I haven't seen it in stores yet though. I saw it in a local Target store, Chicago's north side. They didn't have very many, but they did have at least one of all the young'uns - Fangelica, Pharrah, Clawdeen's & Lagoona's little sisters, and also the mummy baby. The baby high chair design reminded me of Cleo's vanity set. I have Pawla Wolf, Lagoona & Kelpie, Dracula, and Ebbie if you'd like photos of them!